This is a small, colorful, fast-moving bird with a loud call. We usually see it at the tops of flowering trees. It is about 4 1/2 " long. 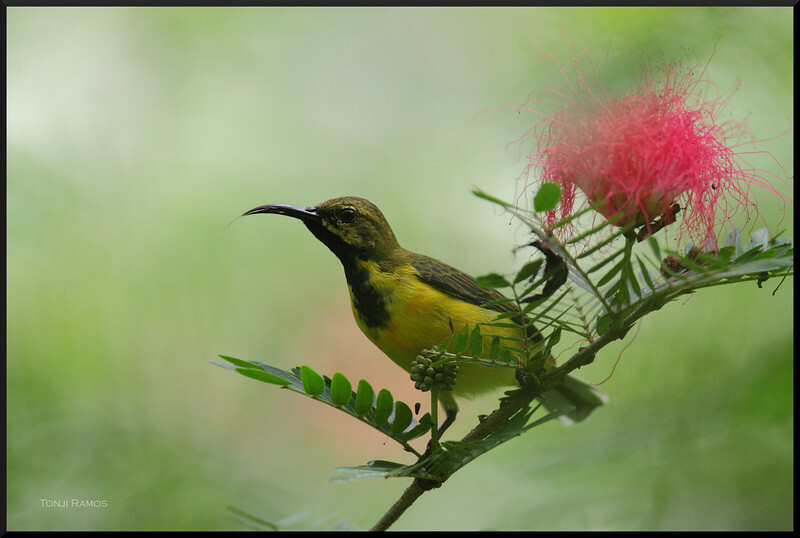 There Olive Backed sunbirds in Palawan are the aurora race. They have orange below the chest, while the ones outside Palawan have yellow below the chest.